Many companies often fall a prey to a fraudulent employee, especially the previous record of the employee is not checked. Provision of the dishonest information on the resume serves as the red flag for the employer and to keep this issue at bay, you can contact Florican Enterprises Pvt. Ltd. We operate from Navi Mumbai (Maharashtra, India) and offer the employment verification service. 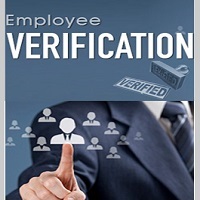 We are backed by the team of the verification experts that verify the entire work history of employees including their previous job responsibilities, pay scale, reasons for leaving, and others. This keeps the company safe from hiring the fraudulent applicants.